The rapid increase in natural gas demand for power generation and industrial development in past decades has put pressure on the natural gas supply in Saudi Arabia. 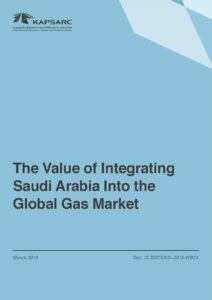 This research project will first explore the drivers of the overall costs of importing liquefied natural gas (LNG) into Saudi Arabia, including determining the optimal source, infrastructure requirements and contractual agreement, according to different market competitive configurations and market liquidity profiles. Second, it will use the KAPSARC Energy Model to analyze the value extracted from importing LNG in the context of Saudi Arabia’s natural gas markets.